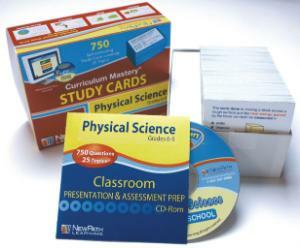 With a total of 750 illustrated review cards that covers a span of 25 key topics with 30 questions each, this set ensures that students obtain both the most expansive and comprehensive coverage of physical science topics. Given in a fun and engaging manner that is easy to implement, students will learn about these standards based topics including "Work and Machines", "The Energy of Waves" and "Electromagnetism" just to name a few. 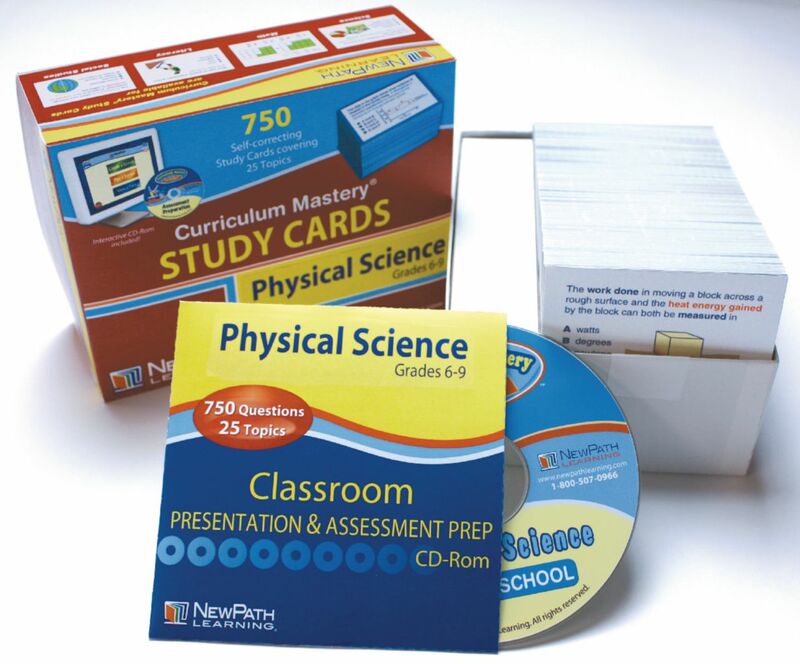 Each study card set is accompanied by a Classroom Presentation/Assessment CD that features review questions given in an interactive flashcard mode. Also included is a Resource/Instruction card that offers suggestions based on whether this will be implemented in an individual manner or with a group setting. Use this on an interactive whiteboard or a computer for both reinforcement and review.